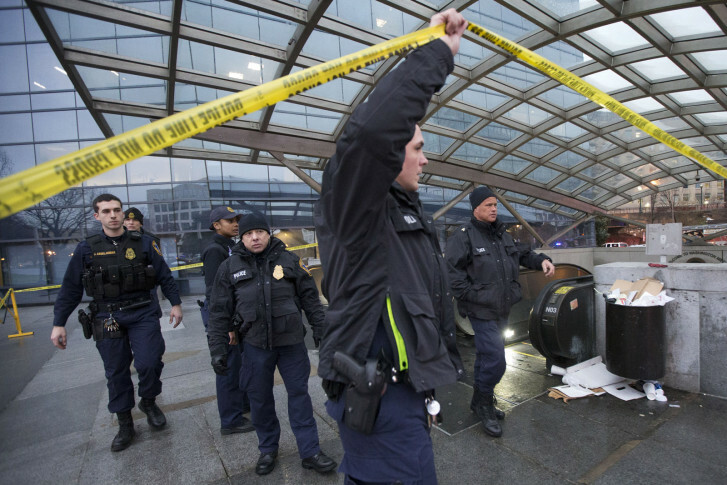 ALEXANDRIA, Va. (AP) — A former transit-agency police officer convicted in a sting operation of attempting to help the Islamic State was sentenced Friday to 15 years in prison and 15 years of supervised release to follow. Nicholas Young, 38, of Fairfax, Virginia, was a patrol officer in the D.C. region’s Metrorail system. He was known as “Officer Friendly” at the Takoma Park station where he was assigned. In late July 2016, Young purchased more than $200 in gift cards he believed would be used to purchase mobile-phone apps that the Islamic State could use to communicate securely. In reality, though, Young’s Islamic State connection was an FBI informant. Young also attempted to obstruct an official proceeding between Dec. 3, 2015 and Dec. 5, 2015. He thought an associate of his, who was actually an FBI source, had joined ISIS. When Young was interviewed by the FBI regarding his associate, he lied to investigators about the destination and purpose of the man’s travel. In 2014, he tried to “obstruct, influence and impede” a grand jury proceeding by making it appear through text messages that he believe his associate was in Turkey for vacation, said a news release from the United States Department of Justice. In reality, Young believed his associate had gone to Turkey and then to Syria to join and fight for ISIS. A federal jury convicted Young in December on multiple counts, including attempted material support of a terrorist group. Young argued unsuccessfully at trial that he was entrapped.